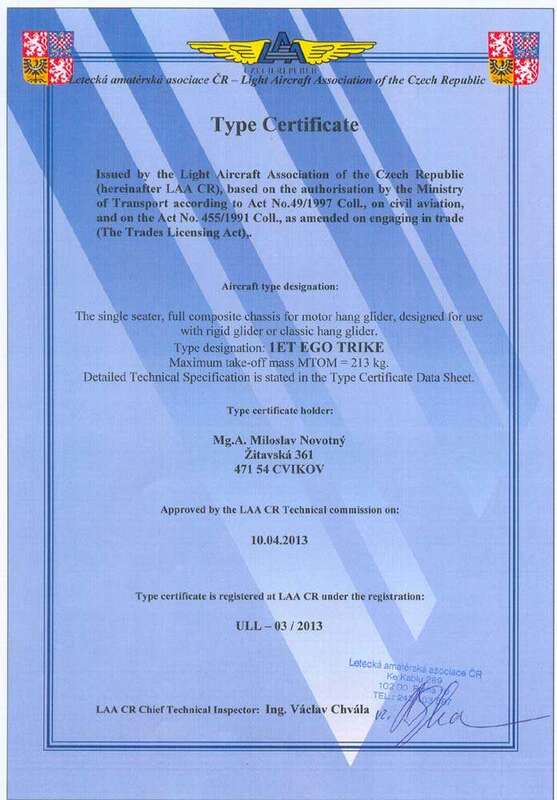 At the beginning of August 2013 passed final tests of a trike aimed to gain Czech standard certificate and German certificate DULV. 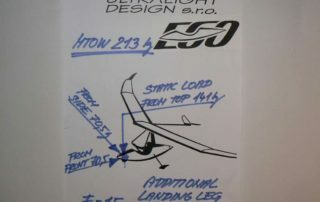 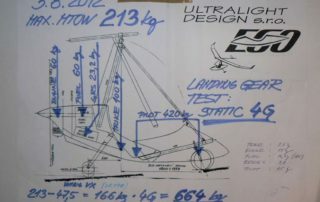 Considering its fully composite carbon kevlar construction without any metal components was calculated loading for 4 G-force with coefficient of safety 1,875 for full composite construction ( coefficient 1,5 for metal constructions ) – for example a pilot 105kg x 4G x 1,875 = 787,5 kg force to the seat. 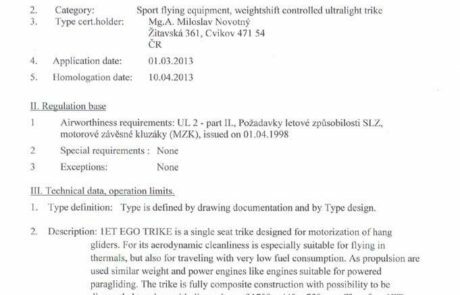 An important requirement was increase of MTOW for heavy pilots with higher quantity of fuel and usage of more powerful engine for towing. 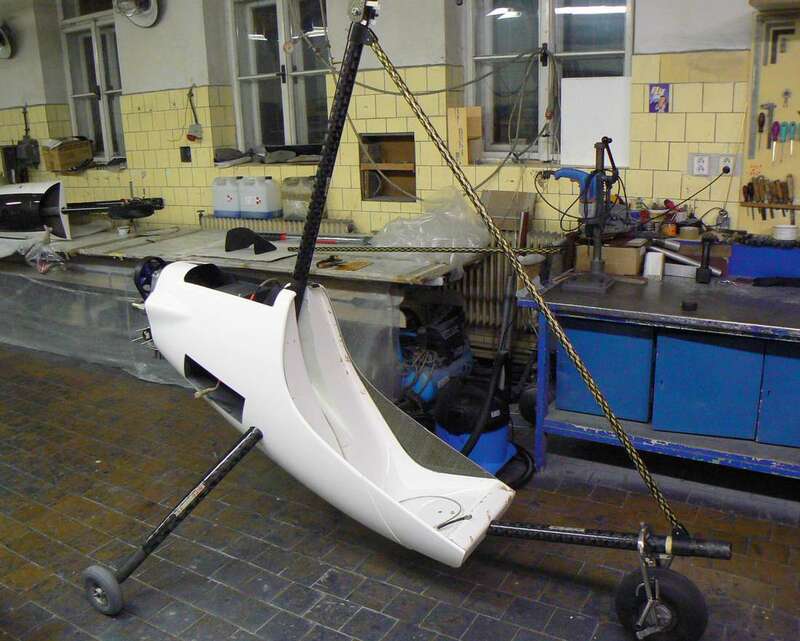 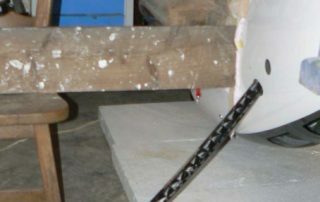 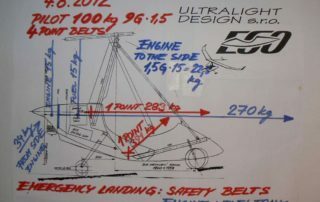 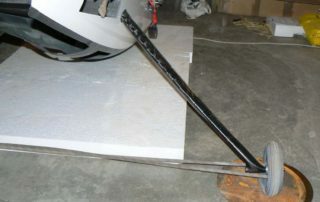 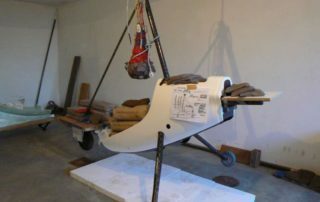 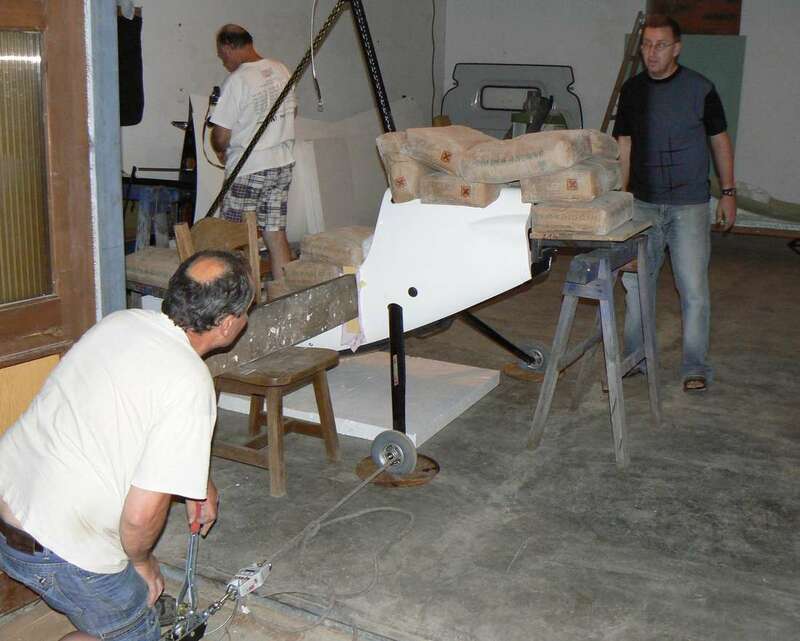 Undercarriage is placed into the special seat and hanged up to a series composite hinge and ATOS composite keel. 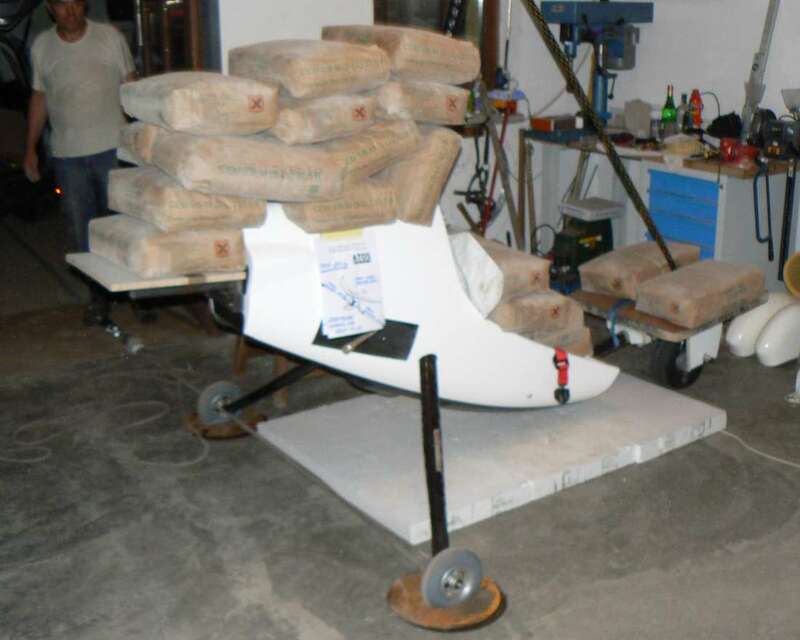 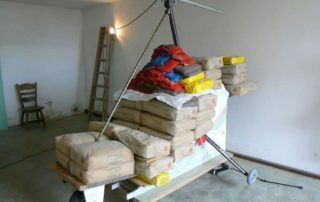 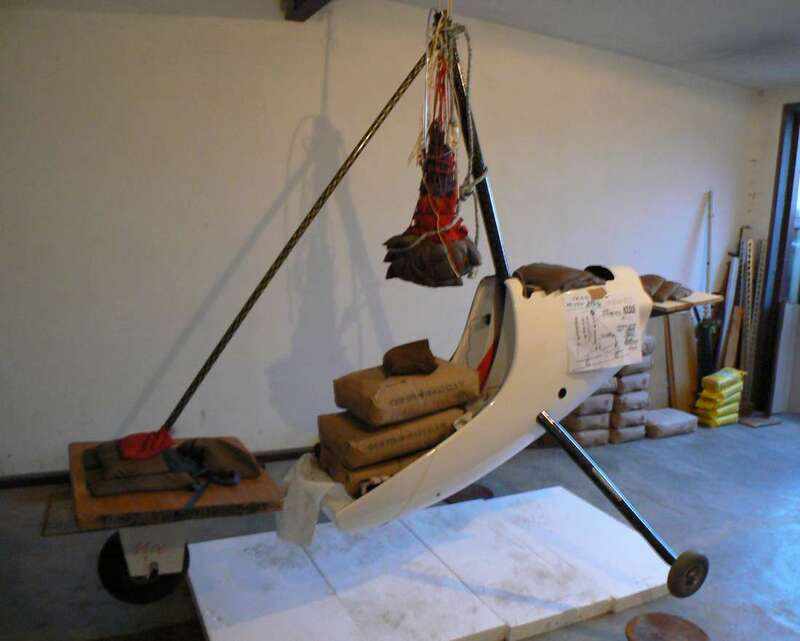 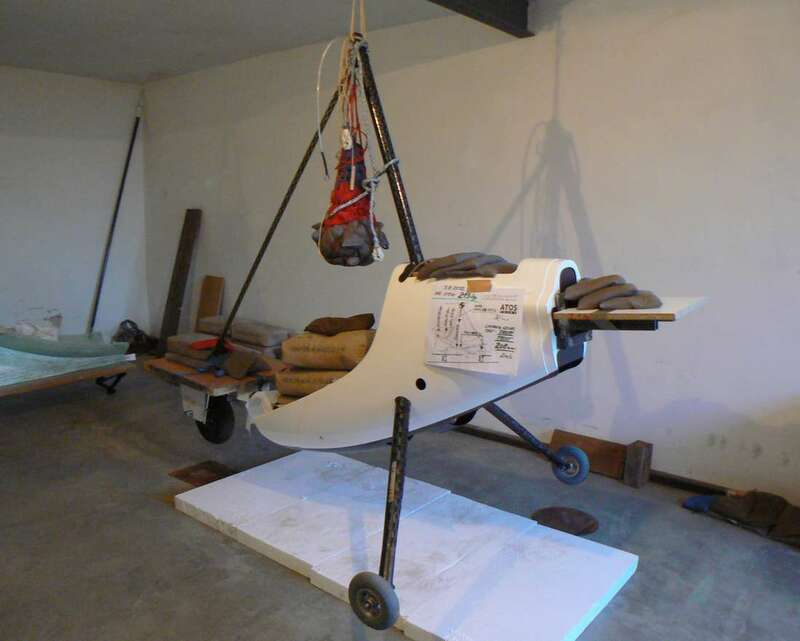 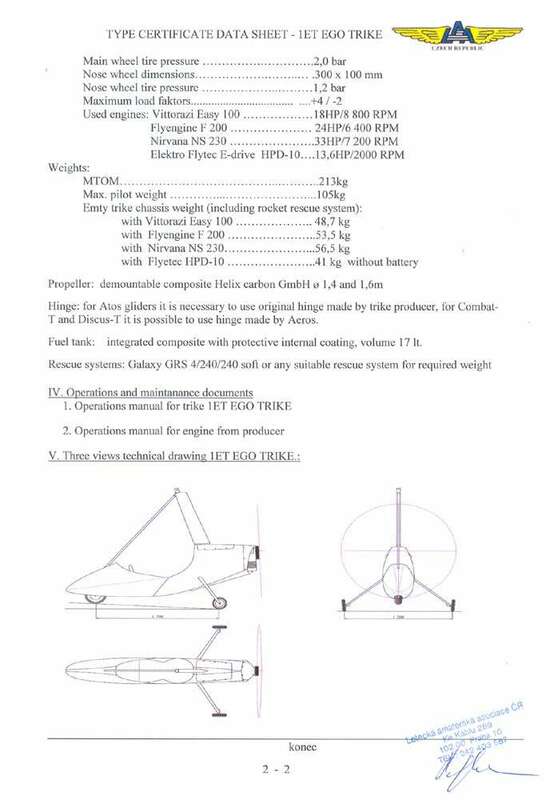 To engine base was placed a 112,5 kg, weight in a fuel tank area also 112,5 kg and to the box for rocket rescue system 43,5 kg, undercarriage weight with 4G-force and coefficient of safety 1,875 is 187,5 kg kg to the CG point and pilot´s weight 787,5 kg is spread out between a seat and a front undercarriage fork. 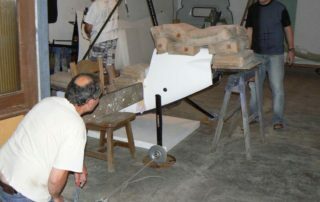 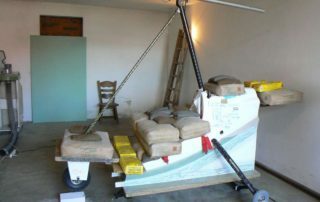 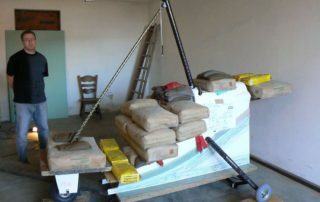 After that we simulated hitch by means of hoists. 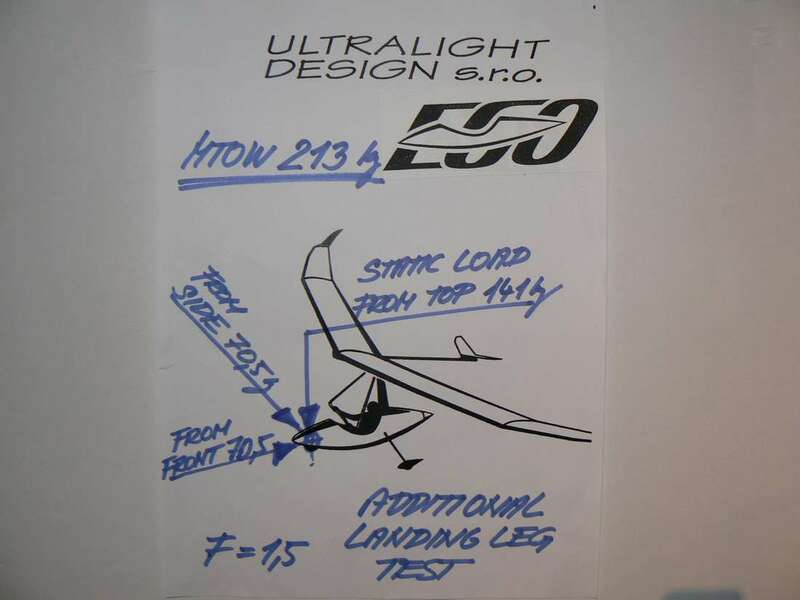 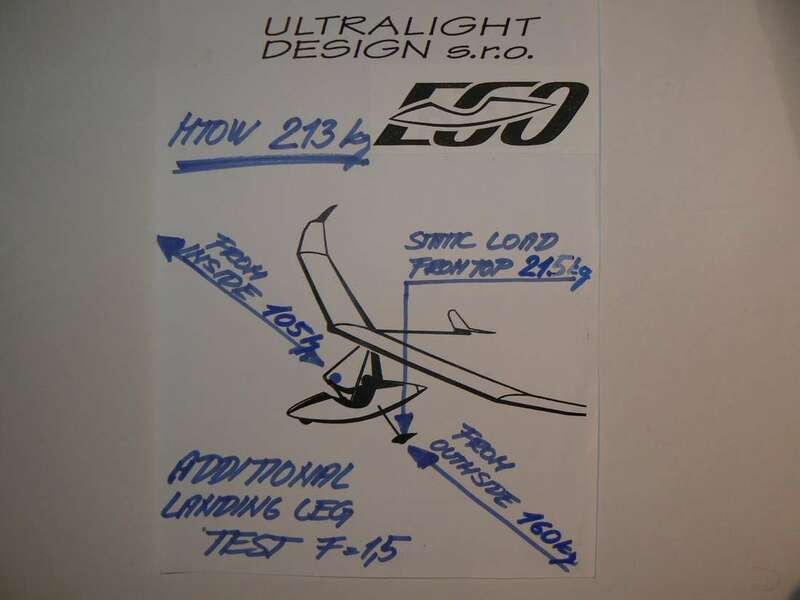 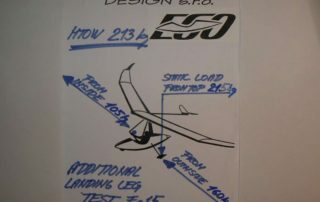 Considering that into a complete airframe construction weighing 22,6 kg ( incl. 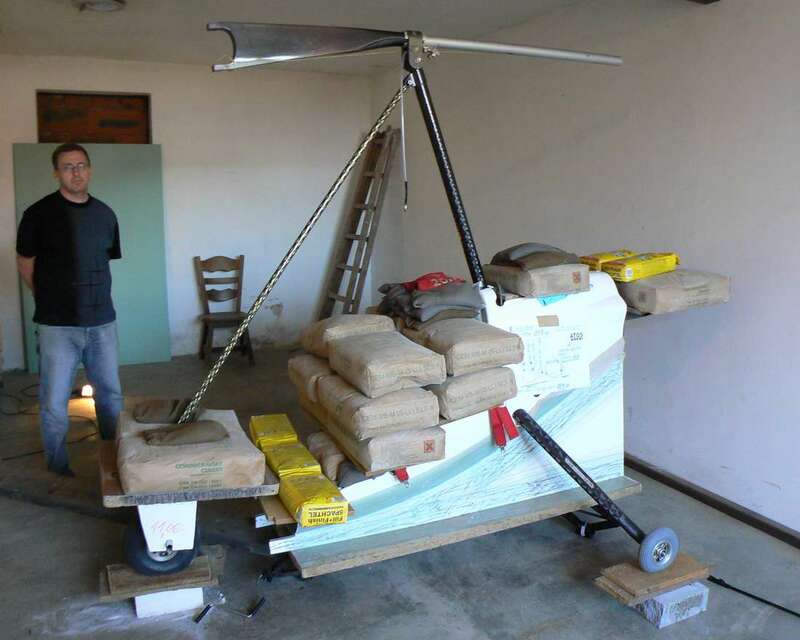 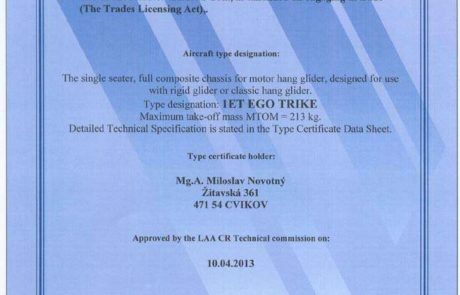 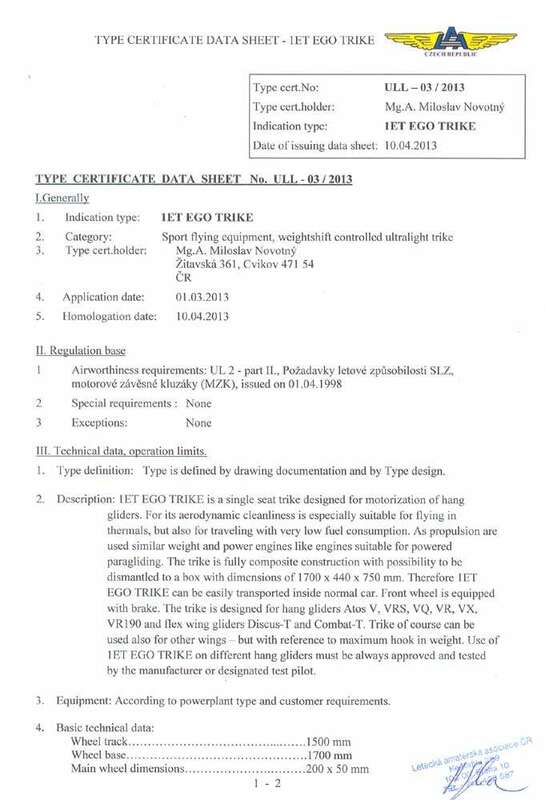 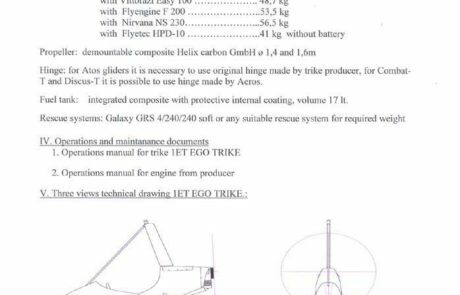 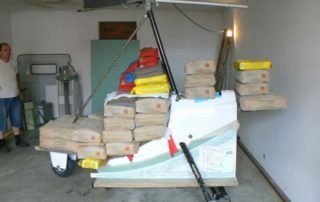 weight of wheels ) were placed additional weights of total mass 1 245 kg ( 55 times of own construction weight ) we think, that „EGO TRIKE“ surely proved its resilience in the strictest process of certification for full composite, 3 axes ultralight aircrafts. 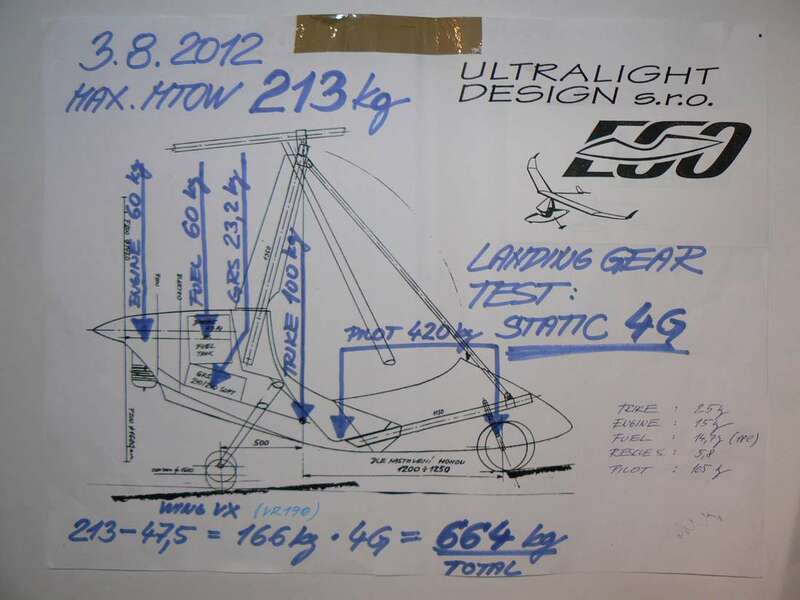 Further tests of undercarriage were taken : static loading 4G = 664 kg. 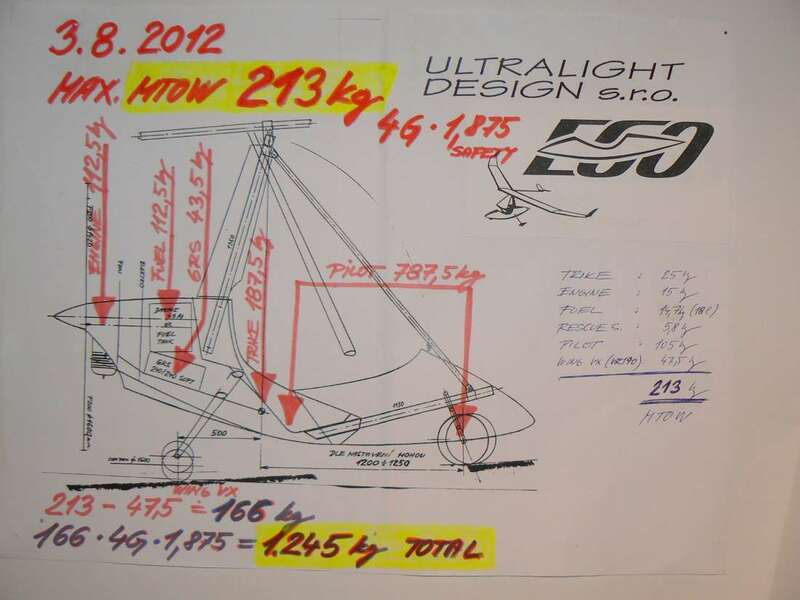 Drop test on MTOW 213 kg from height 208 mm ( fall simulation 2 m/s ) and fore-back and side loading of undercarriage legs. 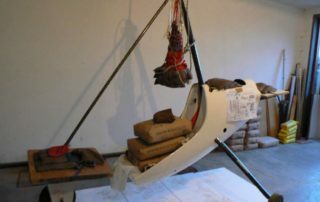 Simulation crash test 9G for the engine attachment and fuel tank and required resistance of safety belts fixing ( 388 kg 1 point lower hold and 285 kg 1 point upper hold). 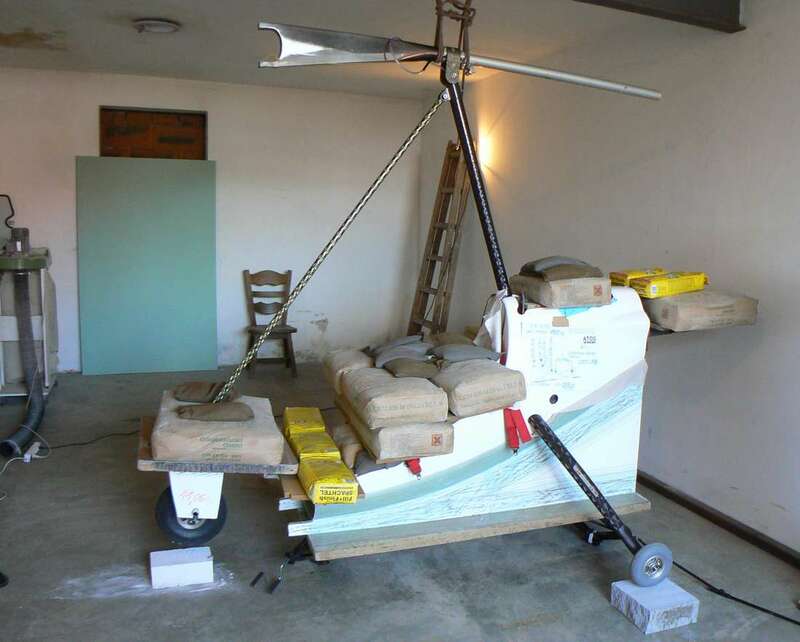 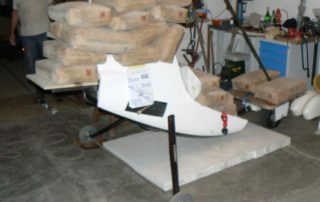 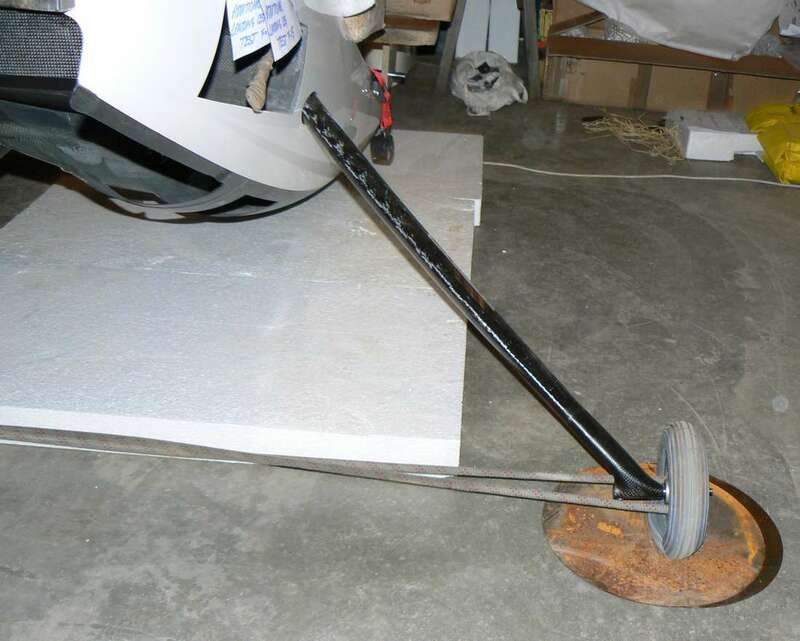 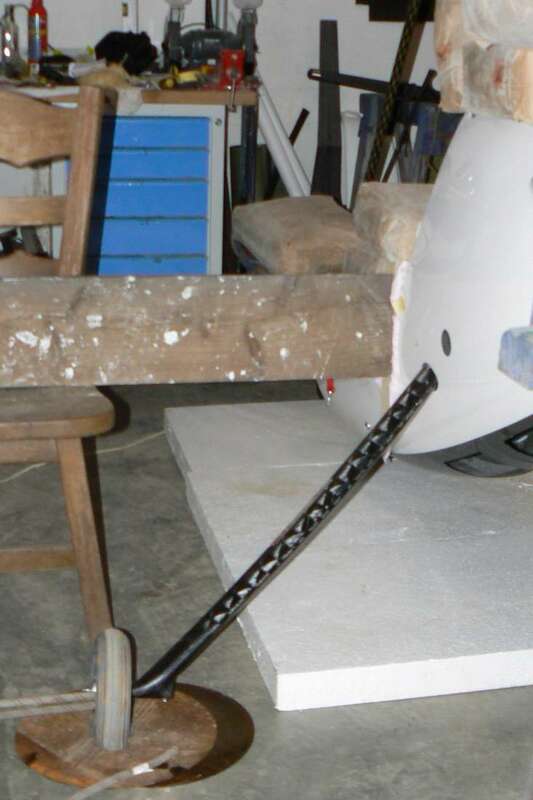 Later during certification in France we added some test with safety factor 2 for often disassembled structural components ( connection D-spar with karbon keel , connector to the trike, main trike top tube as connection trike with glider). 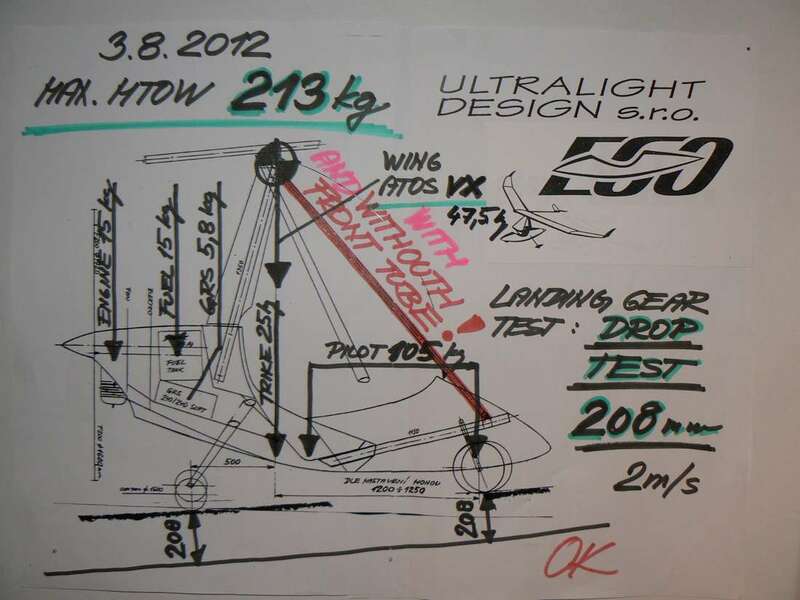 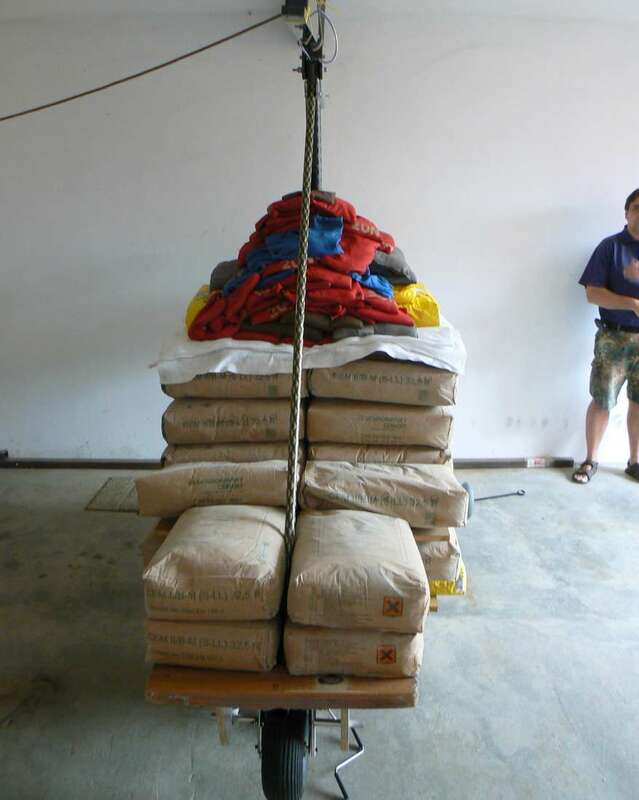 We tested those parts by power 1610 kg instead 1245 in first basic certification tests. 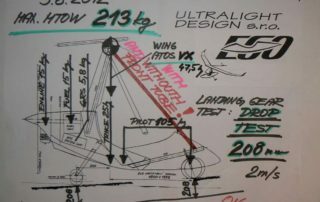 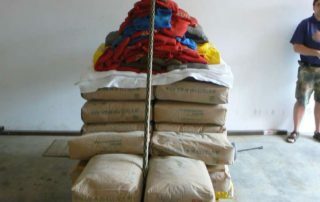 All tests underwent under supervision of a head technician LAA CR and are completely accepted for usage of German DULV. 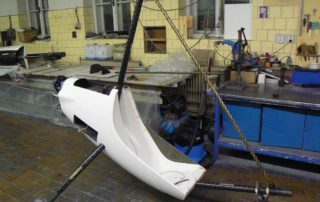 We are convinced that after all the tests and optimizations during two years basic development we broad ideal motorization to the market which will be highly appreciated by a wide range of Atos owners. 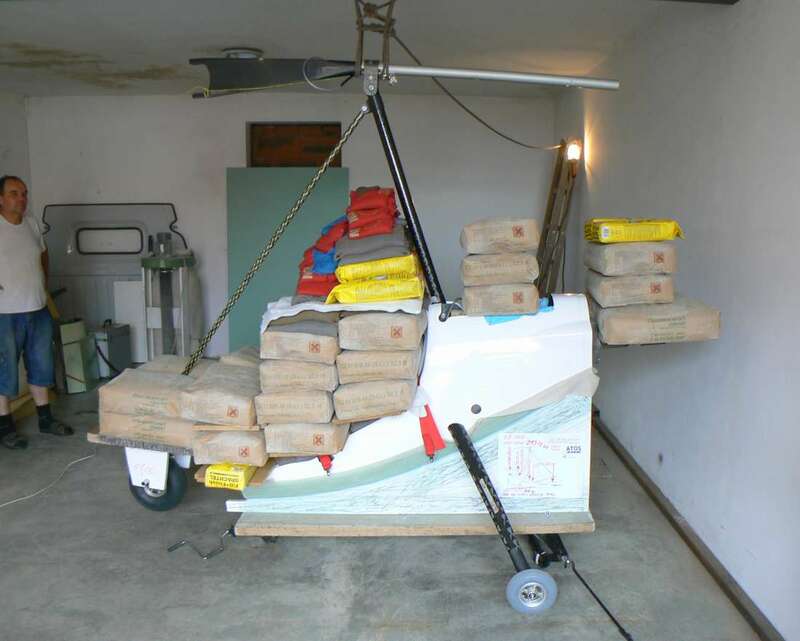 Low-weight trike thanks to modern material usage ensures high safety and long-time working life without any threat of fatigue cracks. 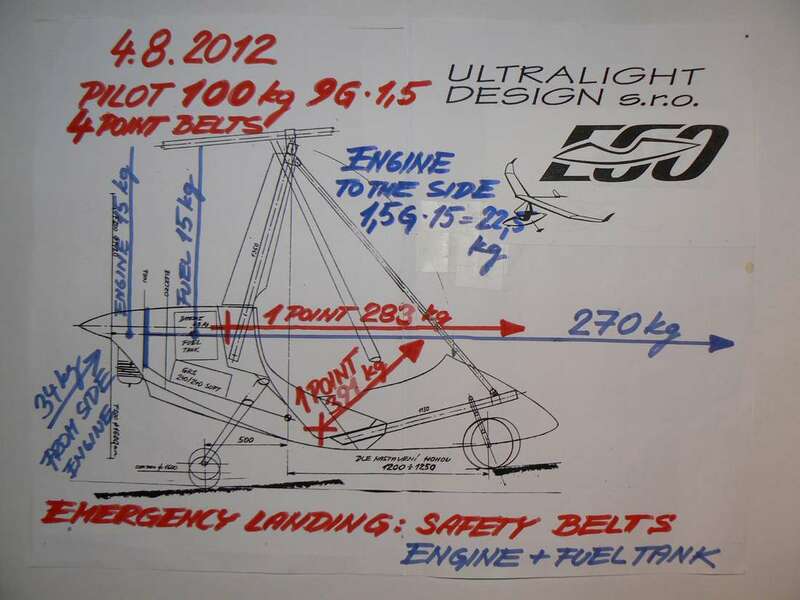 The ergonomy and size of a seat guarantees comfort for a two-meter, hundred-kilo pilots. 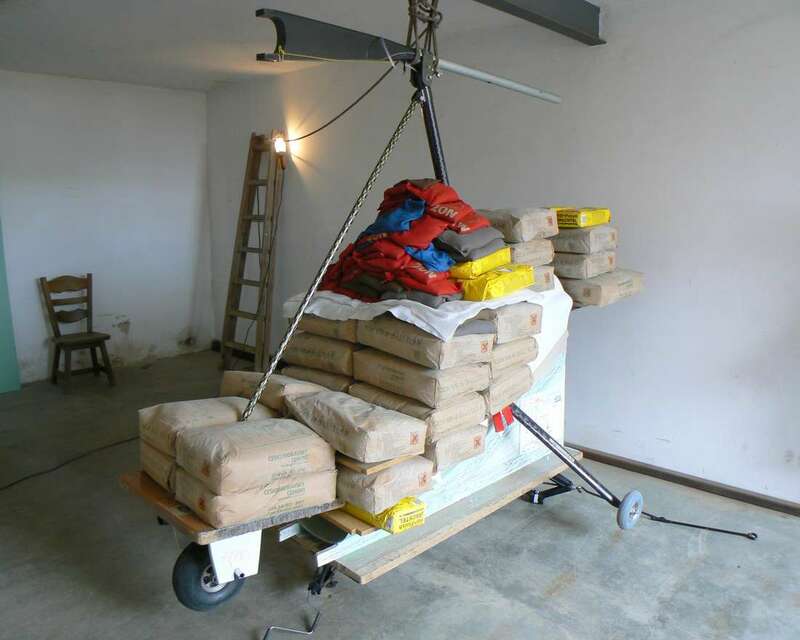 The system of a quick assembly gives a possibility of a comfortable transport inside the passenger car or camper. 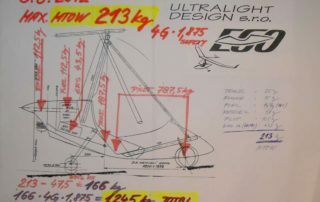 The most important design factor was aerodynamic shape purity and a target to create an above-standard trike, that will be better in all parameters than existing competitors on the market.